CyanogenMod 10.2 (aka- CM10.2) Build ROM is now out and available for download for the Sony Xperia Z smartphone. Based on the latest android 4.3 Jellybean firmware, CM10.2 custom ROM includes many new features and customizations than the previous version. With CyanogenMod 10.2, users can update to the latest Android 4.3 Jelly Bean firmware on their Sony Xperia Z device and thus enjoy the features and the customizations that come along with it. CyanogenMod is a community built, free after market custom firmware distributor of Android. Its latest release is the Android 4.3 Jelly Bean based ROM. CyanogenMod builds the custom ROMs from the sources of Android Open Source Project (AOSP). It has several contributions from various developers of the Android Community, which was designed so as to deliver better performance and reliability than the stock Android. 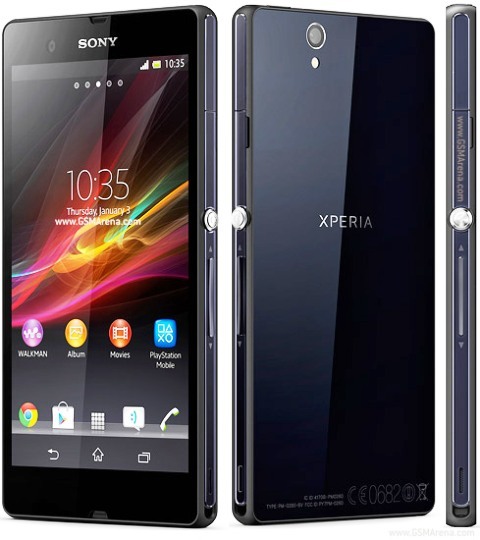 Follow the simple step by step guide given below to install the latest CM10.2 Nightly ROM (Android 4.3 Jelly Bean based) on your Sony Xperia Z handset. Connect the Sony Xperia Z device to a PC via USB cable. Copy the downloaded zip files to the SD card of the phone. Do not extract any file. After copying the files, disconnect the USB cable and then switch off your phone. Boot your device into the ClockworkMod recovery mode. For this, reboot the device and press the Volume Up key a few times while booting. The device will show the ClockworkMod recovery screen. To browse through the options in the recovery screen, use the volume up and down keys. Use the Power key for selecting any option. Alternatively, you can go for: Recovery Mode without Key Combination. Do perform a Nandroid backup of your existing ROM. It will help you to restore later if this new ROM doesn’t works or if you want to go back to the previous version only. For performing a Nandroid backup, select the Backup and Restore option, and then on the next screen, select the Backup option again. After completing this process, go back to the main recovery menu. Now you need to eliminate a clash between the new ROM and the previous ROM. For doing so, select the wipe data/factory reset option. Select Yes on the next screen to confirm. Now wait for a few minutes until the data wiping process is complete. Now go back to CWM recovery main menu and select wipe cache partition and wait for the wiping cache partition process to complete. Under the advance options, select the Wipe Dalvik Cache option to perform the Dalvik cache wiping. Move to the next step once this complete process is over. Select the install zip from sdcard option and then select the choose zip from sdcard. Look for the cm-10.2-20130819-NIGHTLY-yuga.zip file that you copied in your device’s SD card. Select it by pressing the Power button. The ROM installation process will start as soon as you click confirm in the next step. After the ROM installation process is complete, repeat the above step but now choose the gapps-jb-20130813-signed.zip file in order to install the Google apps package. After the process is complete, go back to the main recovery menu and select reboot system now to reboot the phone. The phone will now boot with the new ROM. The first boot may take upto 5 minutes.